This week we have PS VR headstand, Motorolo VerveOnes Music Edition, Loewe Klang 5 speaker and more. If you’ve bought or are thinking about getting PlayStation VR then you need this. 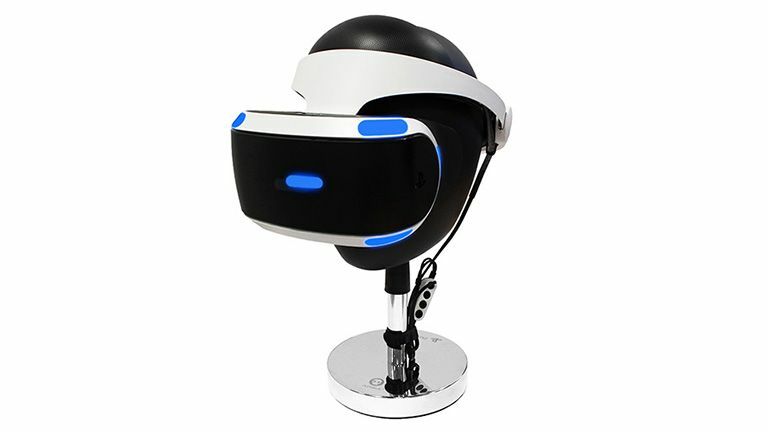 It’s a head thingy - creepy looking normally, sure - but ideal for holding your virtual reality headset. After some button bashing just bosh the headset on this and you won’t have to worry about damage or lens scratching. Just don’t leave the £30 stand near your bedside if you want to avoid a scary wake-up. Motorola is taking on the wireless Apple AirPods with its latest in-earphones dubbed VerveOnes Music Edition. These beauties come with rubbersied buds for a comfy fit, a battery case for 8-hours use on a charge and AI voice controls. All that is pretty good for the £150 price. Yes, it’s what you intrepid crime fighters have been waiting for, a briefcase style shield that folds-out into a bulletproof defence. The Savior will save ya. At last, a laptop bag that's entirely bulletproof, stab-proof and punch resistant! This might sound like a bad guy from Teenage Mutant Ninja Turtles but it’s actually a set of compact wireless speakers. Klang 5 offers aluminium builds with five drive units and four amplifiers for powerful, balanced sound. A pair will set you back £3,490 and the Klang 5 subwoofer is £1,390. This high-end Wi-Fi bridge will make sure you have 4K streaming level Wi-Fi all over your home, dead-spot free. GigaGate connects to a router and uses its Satellite unit to pump out Wi-Fi elsewhere, all while being cheaper than the competition at £220. Ideal for gamers and large old houses.